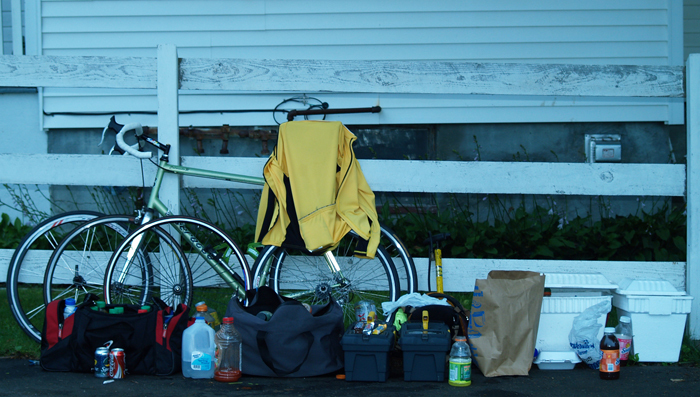 A rider's well organized pit area. 3. David Lafferty * ** 24 Billerica MA 411.20 FIXED GEAR! 4. Larry Graham * 50 Westerville OH 388.20 RECUMBENT! 23. Ed Mulheren 52 Charlotte NC 128.40 FIXED GEAR! 2. Jeremy Wyler 28 Bronx NY 07H:21M FIRST CENTURY!